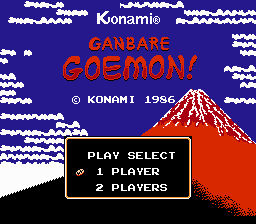 Ganbare Goemon! 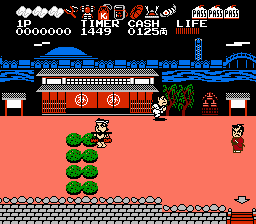 Karakuri Douchuu is an action game for the Nintendo Entertainment System. 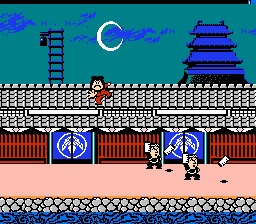 Finally, a complete version of the first Famicom Goemon. 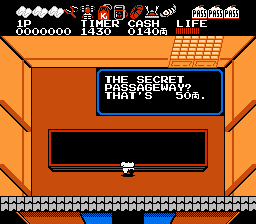 This patch has a whole new translation, the map screens have been translated, all 8 ending messages are inserted and all known mistakes were fixed.